HUGE 20" Neon clock featuring the vintage Mack logo along with the "Mack Quality. Depend On It." logo on a "vintage tin sign" background! 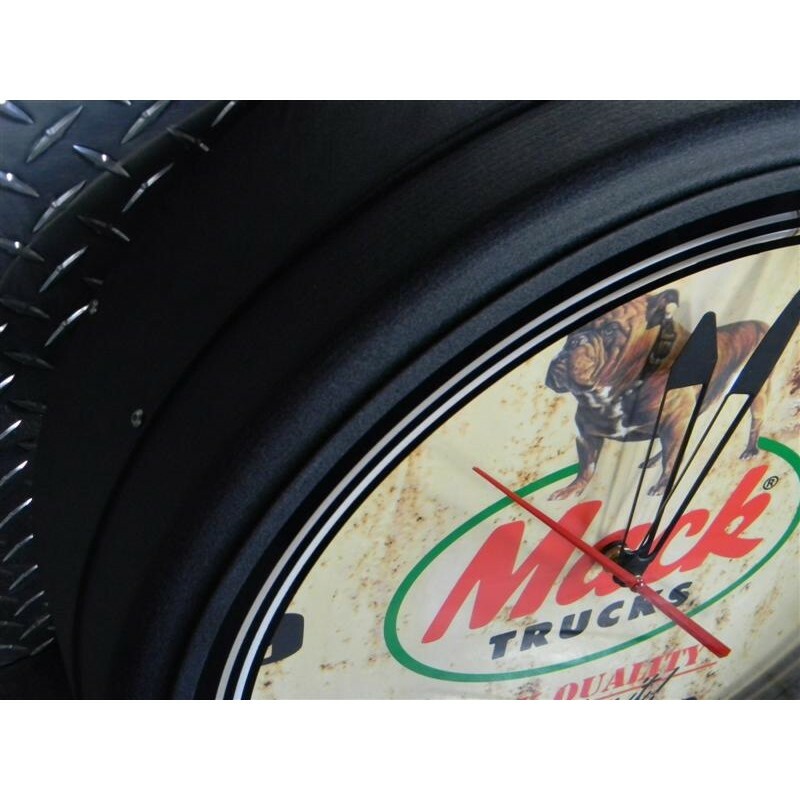 The clock comes in all aluminum construction with glass face and a flat black krinkle paint outer bezel. 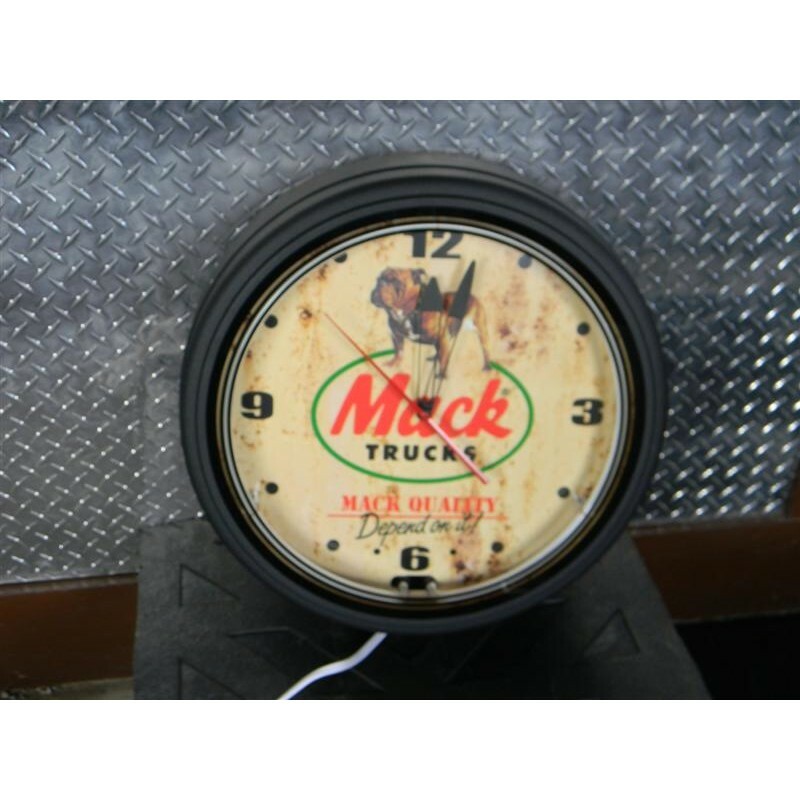 These are high quality clocks made right in Pittsburgh, PA USA! See our other listings for a green or red bezel!